We've raved about the new Apple iPad's display. We've gauged its graphics prowess in benchmark testing. But it's not the only iPad in town: Apple continues to sell brand-new iPad 2 models, and at a very compelling price--$399 for a 16GB model. So if you're in the market for a tablet, which one should you buy? You need to use a fast connection everywhere. The new iPad is the first Apple tablet that can connect to 4G networks. (You can buy a new iPad that works on either AT&T's 4G network or Verizon's 4G network.) If you go with Verizon, you can also use the iPad as a hotspot, allowing other devices to piggyback on its wireless connection. And Apple now sells only the Wi-Fi version of the iPad 2, so if you need an anywhere connection, the new iPad is your only option among Apple tablets. You're, well, frugal. 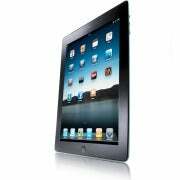 You'll save $100 by buying a $399 iPad 2 instead of the baseline new iPad. That Ben Franklin can buy apps, music, movies, and then some; or you can sock the extra bucks away for the next version of iPad, which is likely to arrive in 2013. Nevertheless, the iPad 2 is a strong lower-cost choice. In a few months it may start to feel underpowered, but by then the rumor mill will be talking up the even better 2013 iPad refresh. And with the $100 you saved, you might be in a better position to afford the new model.